The public service Pensions Bill announced new requirements for civil servants in March 2014. In April 2015, this means a transferal of pension member from the final salary scheme to the new Career Average Revaluated Earnings (CARE) pension scheme for future service form 1st April 2015. Those with ten years or less on 1 April 2012 will see no change to when they can retire or to how their pension is to be calculated. Those with less than 3.5 years outside of this range will also see certain protections form the changes. The new scheme provides a more proportionate pension pot than that of final salary which benefits those who have a faster salary progression throughout their career than that of someone with a steady progression. The new scheme is equivalent to that of the Civil Servant scheme in Great Britain. Teachers TPS -On the 1st April 2015 the TPS is changing. It will be both a final salary scheme and a Career Average Revalued Earnings (CARE) scheme. There will be different types of membership, some members will see no change and will remain in final salary, other members will have benefits in both the final salary and CARE scheme and new entrants from 1 April 2015 will have benefits in only the CARE scheme. Changes to the teachers' schemes in Scotland and Northern Ireland on 1 April 2015 mean that all three schemes are virtually identical. State pension age rose to 66 in 2014 and will rise a further two years by 2028. 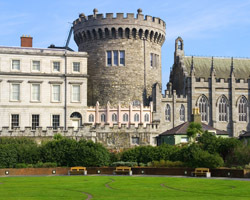 Ireland's pension system consists of a pay-as-you-go financed public pension pillar supplemented by a voluntary second pillar scheme and private pension plans. Ireland's National Pensions Reserve Fund (NPRF), established to part-finance the cost of social welfare and public service pensions from 2025 onwards, saw €10bn of its assets drained away by the Government in April of 2011, in order to support another recapitalisation of the country's struggling banks. The public pension pillar comprises both a contributory and a non-contributory element. The latter is a means-tested pension, which is paid to individuals without adequate means at the age of 66. The old-age contributory pension system is financed on a pay-as-you basis and provides flat-rate benefits depending on the contribution period. All employees in the private and public sector as well as the self-employed are insured under the system. Contributions are unequally shared between the employer and employee; the contribution rate for wage earners amounts to 4% of earnings up to a ceiling of EUR 46,600. The statutory retirement age is 66 and early retirement is not possible under current conditions. Almost all major employers operate a pension scheme and it is estimated that about 50% of the workforce can expect to receive occupational retirement benefits in addition to their basic state pension. According to the Irish Pensions Board, there were 586,488 members in defined benefit (DB) plans at the end of 2009 and 266,909 members in defined contribution (DC) plans. Pension funds are normally established under trust. The trustee usually appoints an investment manager and custodian. Pension schemes have to be registered with the Pensions Board. Employer and employee contributions receive tax relief up to 15% of salary at age 30 and younger. The maximum contribution rate that attracts tax relief increase with age and adds up to 40% for those aged 60 and over. Investment income received by the pension fund is also tax-free. Income tax becomes payable upon the time the pension is paid. As in the UK, Irish pension funds have traditionally mostly invested in equity with the highest equity investment ratio throughout Europe. Personal Retirement Savings Accounts (PRSA) are DC plans offered by investment managers, insurance companies and credit institutions. Since September 2003, employers who do not provide access to an occupational pension scheme are obliged to allow access to a group PRSA arrangement. PRSAs generally offer several investment options, of which one must be a default investment option. Contributions receive tax relief up to 15% of salary at age 30. The maximum contribution rate that attracts tax relief increases with age and adds up to 40% for those aged 60 and over. Unused tax relief can be carried forward to subsequent years. The transfer is subject to the annual limits. Retirement Annuity Contracts (RAC) are insurance contracts approved by the Revenue Commissioners. RACs are DC schemes, which offer different investment options. RACs can only be taken out by individuals without access to an occupational pension plan.